Still driving my 2000 LeSabre Custom. So far it has 268k miles and still running like a champ. Typical cheap GM plastic interior is to be expected with these cars and window regulators often fail, but other than that; it's a great car. Runs strong, can take a beating, and gets pretty decent gas mileage for almost 270k. You can pick one up fairly cheap and it will last forever. Highly recommended vehicle. This has been a great car. Purchased at 135k previous care unknown. Currently at 245k, runs and drives great. 22/32 which is great for its size. Rebuilt transmissioin at 180k, starter, vacuum hose leak, battery, tires, gas guage was out when purchased. Use trip counter for fillups. Dual climate system on passenger side would randomly stop working, then start back up again. No repairs done. Center console flip broken hinge. Of the 3 keys, two of the chips went bad and the car stopped recognizing them. It has been a very solid car. Always starts, never left us stranded. The engine is strong and shifts smoothly. If is fantastic in snow and ice. Went through snow covered mountain passes every winter without problem. Does better than friends Outback and MDX. The ride is smooth and only the biggest potholes are felt. I have never been in a car that rolls as well as this one does. When I take my foot off the gas, you can't tell. The car keeps rolling without the noticeable slowing experience in other cars. At 80mph, on a flat road, it takes about 30 seconds for the car to slow to 70. It is like there is no resistance. It gains speed on any and all downhills. I never thought I would enjoy driving a Buick. It is now one of the top companies for customer service and reliability. Brother has a 2006 Rendezvous that is about to hit 250k and has been very reliable. Maybe I'll try the Enclave next. Thank god we only inherited it! 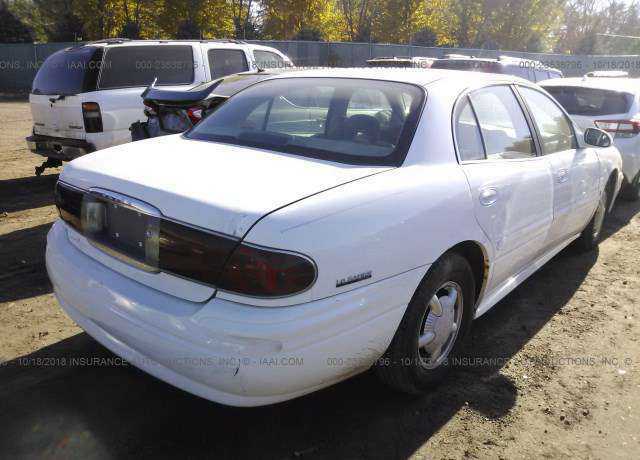 We were given a 2000 buick lesabre back in 2008 by a family member that was no longer driving. It wasnt our number 1 choice but since it was free, we took it. It had about 50k miles on it back then. Now we're on 8 with about 105k mIles and this car is an absolute dog! Every interior piece that can wear out or break, has! The soft, dash top has started to lift up, on it's own! Then there's loose interior parts with huge gaps, acres of hard, hollow, cheap plastics, only two horribly designed cup holders for the entire car which are broken by the way! The two cup holders are put so close together that you can't fit anything bigger than two water bottles there. If you've got a bug gulp, you're screwed! You'll have to keep it between your legs and risk spilling it all over the car. The back seat passengers have no where to put a cup. But there's ashtrays in the back seat? That "wood" trim you see is actually hard plastic! The climate selector switch broke once. That's another cheap plastic part. Every window regulator has either failed or been replaced. The front drivers side has been replaced twice. The front passenger has been replaced once. But now (the window is stuck partially open) and the rear windows have gotten stuck a few times but have been fortunate enough to get them up. There is no permanent fix for this. The power front drivers seat works when it wants to. The seats are not supportive at all. The fuel level sensor dosent work and hasn't for years. I can't even tell how much gas is in the car. That's a $1000 fix. No way we're paying that for a car that's probably not even worth that. I thought that a car that's supposed to be an upper scale entry level "luxury" car that, the interior pieces and features wouldn't be so flimsy. But it is an American car through and through (bad quality). A Chevrolet Avalanche and Jeep Wrangler we had all had bad interior quality. The rear, air suspension has never worked right, still dosent work right and is costly to fix. Overall I have to say, the engine and transmission hasn't given us much trouble yet but that interior and feature quality is pathetic. No more american. I got a great deal on this used LaSabre from a friend whose mom had gone into a permanent nursing facility. The car had only 120K miles and its oil changes every 5K. It died at 135K miles. We were on the highway doing 85 when there was an odd slapping noise, like a loose undershield. It got louder so, I pulled over and just as I came to a stop the engine died and seized. No warning lights or anything to tell me that there was something wrong. Steve's mom was a holy terror and witch. I guess she rubbed off onto the car and we caught the bad end of it. My mother purchased this car in year 2000 right off from a dealership as brand new. Then gave the car to me in year 2010 with 95,000 miles. It was in mint condition because kept in the garage all those years. The only problems we have this car is two rear power windows stopped working. (We did get it fixed) and fuel gauge stopped working, we had that fixed too. Overall it runs like a dream and my friends rode in that car wanted one because it was so quiet and smooth. I love this car and will keep it for a long time. Now it has 140,000 miles and still very dependable with good gas mileage on V-6 engine. My odometer is sitting at 210,000. This car was well maintained. The only, and I mean only problem with this car is the power window motors. The two rear ones are burned up. Locked them in the up position. Other than that, nothing has been replaced, nothing at all. Just replaced the battery for the first time at 205k (as far as I know). That's it, most reliable car and engine I've ever known. The power windows are terrible. I have replaced all of the regulators at least once. The drivers side was replaced twice. It's kind of a shame when such a nice car has issues like this. The rest of the car couldn,t have been better. Bought this car at auction with 119000 miles. Had this motor in GM vehicles before, love it. Car now has 192000 on it, motor runs like new, average over 25mpg combined not trying! Bad window motors but replacements avail for under $50 if DIYS. Comfortable, plenty of pep,auto everything, next car will be a Park Ave with same drivetrain if this car ever stops, no signs of that happening yet. Air ride system in rear leaked and pricy to fix, replaced with air shock kit, still rides great. AC still ice cold. great car, just style associated with older generation. Recommend to anyone who asks. Hope the 3.8 V6 continues to be utilized, I am a fan. 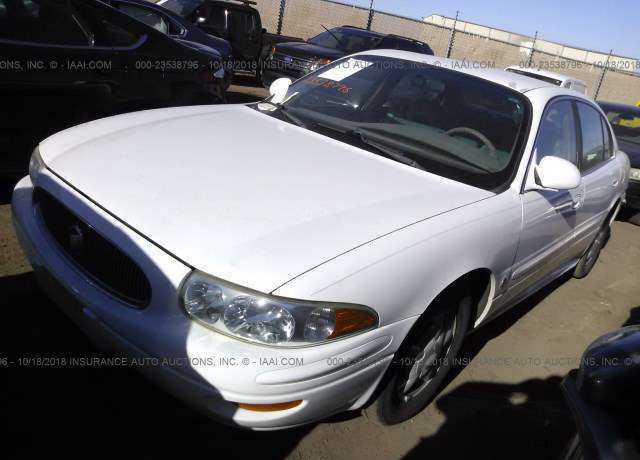 Bought a 2000 Buick Lesabre in 2007 with 97000 miles on it. 3 years later it has 150000 miles. The car was still operating on the factory battery. This car is a horse. 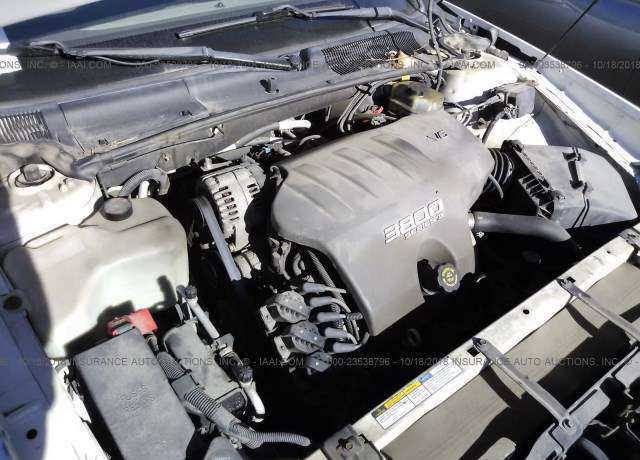 Cons, service engine light comes on and it usually is a air senson gone bad, which is minor repairs. People need to understand that when you buy a Buick, it is meant to be driven smoothly. This car is not to be driven like a Grand Prix or Monte Carlo. Once you get over 120000 miles I'd recommend getting your oil changed a month earlier than scheduled because it will always be a quart low. This is a very solid vehicle and I wouldnt hesitate to get another one. GM got it right with this one. This car used to be my mom's but was recently passed down to me for College - free of charge. Our lesabre has been excellent to our family, giving us little problems through the years and shows no sign of stopping anytime soon. The V6 engine is powerful enough to get us from a to b smoothly and effortlessly, but the gas mileage could be better. For people considering this car: go for it. ours is now over 10 years old and has 93k miles on it. I know it seems like a car the elderly drive, but you're getting your moneys worth. This car has depreciated in value a ton, but its not because of the quality. Nice motor. good design but the window regulators cast a dark shadow on the overall experience. They are costly to replace but can be had on Ebay for a fraction of the cost. Loaded with comfort options and let's not underscore the exceptional mpg. 35mpg on a 400 mile trip isn't unheard of. Do not ever ever think of buying this car. Power windows were cheaply made and they will all stop working. Cost is $400-500 to repair each window and that does not guarantee it will not happen again. Only fix is to permanently lock windows so they can never be used but how safe or logical is that? 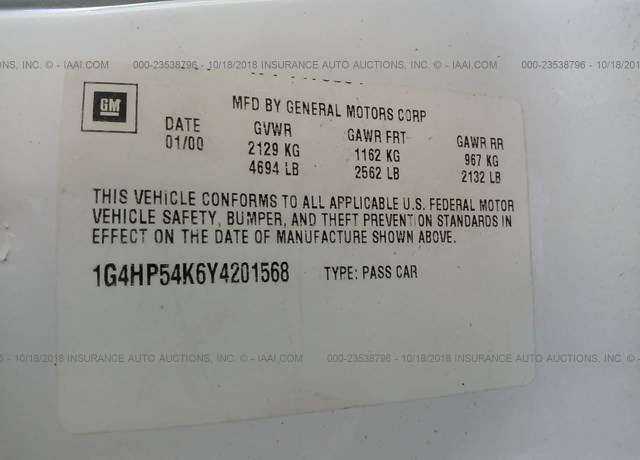 Apparently Buick does not care - never issued a recall because there is/was no safety issue. DO NOT BUY THIS CAR! My 2000 Le Sabre has cost us more to repair than all our other vehicles combined over their lifetime. We bought it as a program car with 13,000 miles in 2003. Both front axles and a motor mount were replaced 3 years ago. Last year, it was a leaky fuel line, which only comes in the complete line that extends to the center of the vehicle. With 107,000 miles on the car, two tie rod ends, two struts and mounts, the motor mount and the transmission mount had to be replaced. It is back in the shop, today, for the 3rd motor mount replacement because the most recent one broke again. One back door lock does not work, and the motor in the front passenger side window has been replaced. This has been an excellent car. I hate to give it up as we have averavged 25mpg and this is a full size car. The front wheel drive with traction lock is amazing in the snow. Living in the mountains of Colorado this is a must. The car has 193,000 miles. Yes we had to put a new transmission in at 170000 miles but it was worth it. 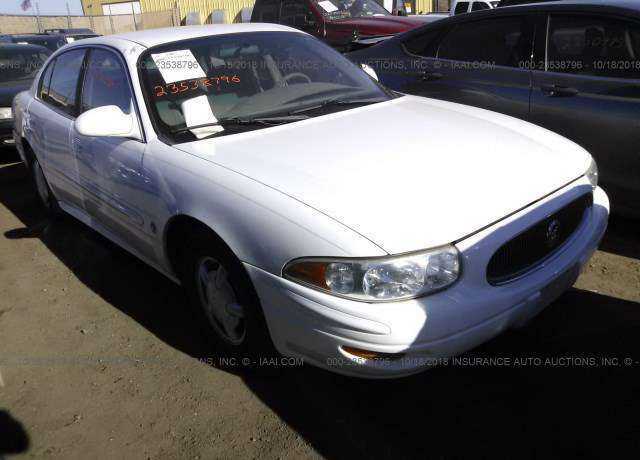 I bought my Buick new in 2000, it has been great for long trips as well as city driving. Having owned it now for 9 years the only problem I've encountered is the power window regulators which make the windows go up and down. I had to replace all 4 of them. They run about $400.00 installed. Thank God I sell cars for a living so I got a discount on labor and parts. Other than that one problem the car has been great! Bought this car at 1 year old with 30K miles on it. Great car. Still have it and love it. Except had to replace all 4 power window lifts, 3 under the warranty (thank goodness). Bad design. 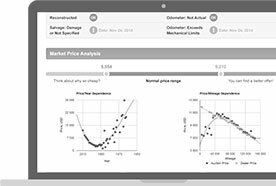 Understand newer models have a design change to fix the problem. Nice features and good ride/handling. Plenty pep. Also had a spark coil and motor mount failure at about 50K miles. But car looks great (still) and runs great. Gets about 22 mpg around town and about 26 on highway travel Would definitely consider buying another one. UPDATE! 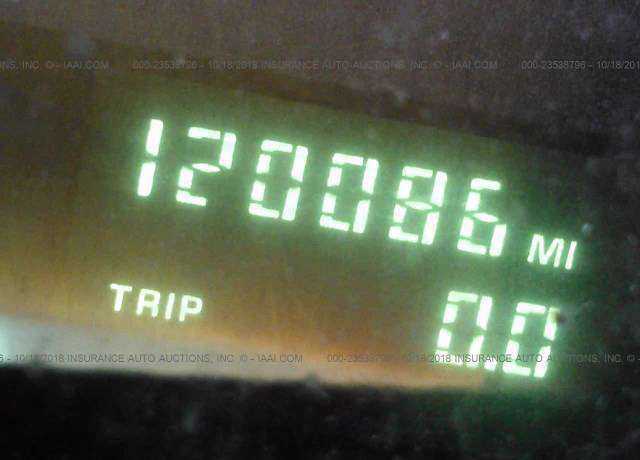 See my original post 7/10/2002 My LeSabre now has 110,000 and it's 5 years later and I still have the same car. and it continues to perform! Great car! I needed a luxurious and large car to haul real estate clients around in. This more than fit the bill. Extremely smooth, comfortable ride and incredible gas mileage for such a large car (28 hwy, 18 city). Car has been a problemn since we bought it. It rides rough after 52000 miles. Problems to date: Airbag cable assy @7210 miles Spark plug coil assy @20610 miles Tie rod assy @ 27,684 miles Power window @36,085 miles EKG valve @ 41242 miles Rebuilt Transmission @ 51,977 miles It also has other electrical/indictor problems that I will not pay to have fixed. New some one else that had transmission rebuilt at less than 50,ooo miles. And they wonder why GM is in trouble. We will not buy another GM product. I did not want to buy this when we bought this but my wife did & she is convinced now never to buy another one. See why GM can not warranty the drive train for 70000 miles!!! I love my Buick. It has so many features that it is a pleasure to drive. I have had only a couple minor problems but they were fixed under the warranty. I'd buy it again in a minute. I bought my LeSabre with 38K miles on the odometer. I've put approximately 10000 miles on the car and I am more pleased with it than ever. It is the optimum blend of style, comfort, performance and economy. It doesn't bother me that every other car I see is a LeSabre. That only indicates that the majority of people are as smart as I am. I have had this car for 2 1/2 years and have not had any trouble with it. It is my first car since having a van for many years and thought it was a great switch for a family car. The back seat is comfortable and plenty of room. It makes you feel safe and comfortable for a good price. I have had some lemon cars before, but I lucked out with this Buick (and I bought it used). One of the most reliable vehicles I have ever owned. Maintenance has been due to normal wear and tear, and no substantial maintenance to date. My wife and I love the car for travelling, long distance and around town. The major flaw has been the high failure rate of the window's raise/lower assembly. In less than four years, all four windows have failed/broken at least twice and some three times. We have reached a point of being afraid of lowering any window for fear it won't raise. The most recent failure happened last week to my wife. She decided to try lowering the rear left window since the inside of the car was so hot from the desert sun. Bad move. Down once and it wouldn't raise. The little flip of the switch cost me $492 and change. Go ahead, buy that Buick!!! My Buick was pre-driven by a Buick CEO. It had 5000 miles on it when I bought it. It was in perfect shape and still is. I have a very bad back condition having had 8 lumbar operations. When I drove this car for the first time, it was like riding on a cloud. I had to only drive the car less than 10 miles when I knew this was the car for me. I have had no problems with the car. It still rides like a dream. 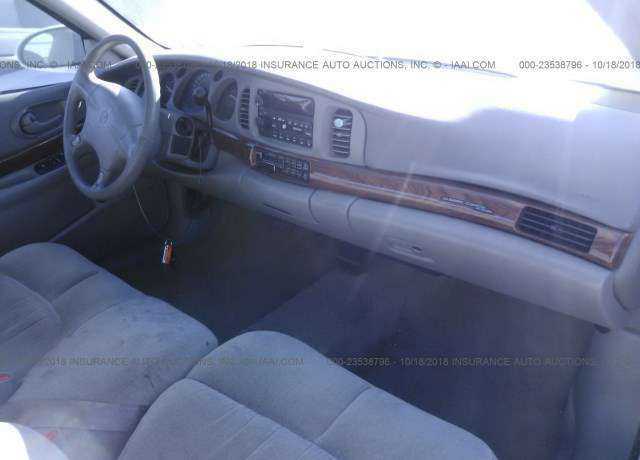 I will definitely buy another buy LeSabre. I love the controls on the steering wheel. It's sound system is terrific. I would recommend this car in a heartbeat. Car was very comfortable with plenty of leg room but front seat on long all day trips was too soft. At 6,000 miles the front end creaked when car righted itself after a sharp turn. Dealership and Zone Office agreed that it made a noise but refused to correct it. I should have invoked lemon law but sold it soon thereafter. Now I have a DeVille - No more Buicks and this was the third LeSabre but all had rattles especially in the dash. 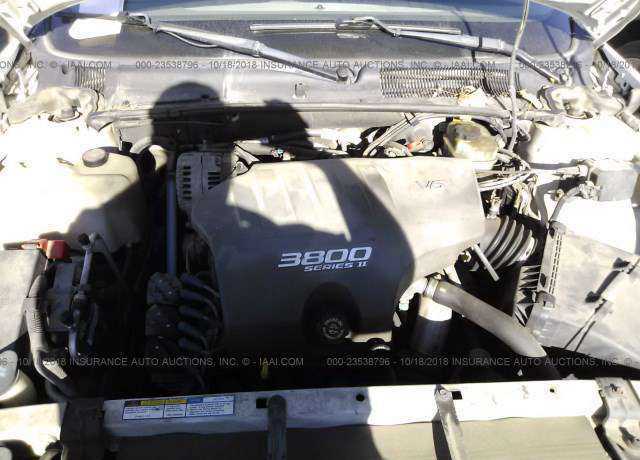 Have had the car only a few weeks, bought used 40K miles, GM Certified used car...power is great, highway ride is great, all the toys are great..driver's seat isn't all that comfortable, and there are quality issues, have had it into the dealer three times already, once for a new alternator! Annoying dash rattle and squeak from the glovebox when travelling on less than smooth roads. Driver's seat squeaks and moves around when one makes a turn, have had dealer look at that as well, was unable to fix..annoying glare on windshield from top of dash and defroster vent. This is truly an amazing vehicle. Foreign car makers should really be worried. This is a big car-I am 6' and 200 lbs, and am the smallest guy on our 5 man football officiating crew, yet we all fit and 5 duffel bags fit in the trunk. The handling is marvelous, especially given the pedigree. Just try to lose me at any speed less than 100 mph in any other sedan. And the milage, oh the fuel milage.On a trip to Jackson,WY, my wife averaged 38 mpg, this on a trip where the elvation was never less than 6200' and the speed limit is 65. I am a little(ok a lot) heavier with my foot, but can still average better than 32 mpg. Absolutely ridiculous for a car this big. 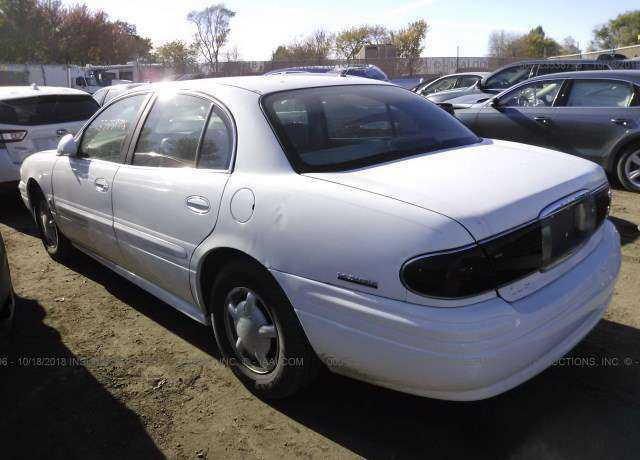 This is my second LeSabre and I loved both of them. Comfortable and reliable. My uncle bought one because he and my dad liked mine so much. Will probably buy a third. Do hate the stigma of the LeSabre being "an old person's car." The Buick LeSabre is a revelation. It's quiet, comfortable, powerful, reliable, economical and attractive, a great road car but also an easy car to in which to drive around town. Even my thirty something daughter was impressed. This car would be a "peach" except that it is very expensive to replace components when dash lighting burns out. Radio is sealed, and when the buttons no longer light it costs $300 to replace. Same for heat/air selectors. This is my third Lesabre (1986, 1990) and I have been happy with all of them and they have been free of any major problems. This is an amazing car for the price. It makes better gas mileage than anything but a supercompact. It had no new car defects. It now has about 31,000 miles and has never had anything but regular oil changes done to it. Before this car I had two Toyota Camrys. I like this car MUCH better. They were gutless four cylinders, yet this more peppy v6 makes just as good in gas mileage. I really wanted to like this car but it has some annoying problems and I would suggest the purchase of a extended warranty. Problems, Power steering hose had to be replaced$150.00 Heated seats malfunction,power windows $675.00,check engine light comes on,cracked o-rings on fuel ejectors,$100,rattles in door and dash and last but not least to replace any rear lightbulb 12 nuts be removed using a special tool! Really didn't want to get the LeSabre because it looked like a "middle aged" person's car, but my husband is a large man and we needed a car that was plenty roomy. This is the smoothest riding car I have ever been in. You really have to watch your speed because you'll be hitting 80 before you know it. Very nice. It has all the bells and whistles I'd never had:leather interior, CD radio with all the trimmings, automatic rear view mirror dimmer, even a moisture reading automatic windshield wiper. Driving this LeSabre is like driving a well-behaved living room. Room for five large people no matter where they sit. 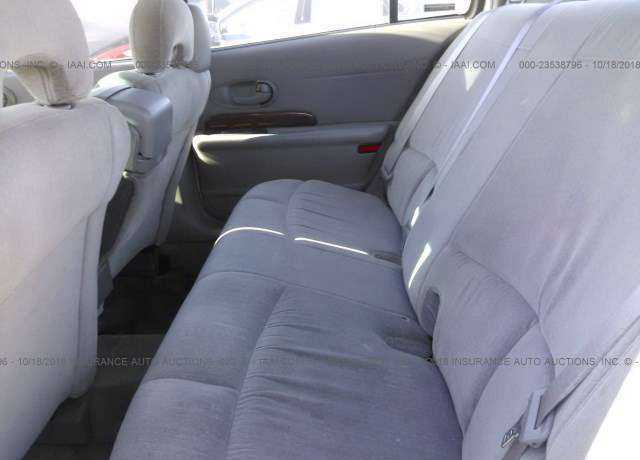 And the power front split bench seats can be adjusted to the most persnickety driver's needs. But the gas mileage!! On the open road, I typically get between 33-35 mpg and that's with a V-6. No matter what we'll do, we'll never be able to fill that trunk. All in all, it's a marvelous car. I delight in the day I bought it. Overall love car but disappointed with problems. Use car 5,000 miles local. 7,000 miles interstate. Get 32 mpg highway. Overall 3 yr average 25.6 Right at end of warranty 3 power windows went in succession. Common problem apparently. 30 days out of warranty, at 33000 miles transmission required overhaul. Clunking when changing gears. OMG this car is the BEST! with 3 teenagers and friends, lots of travel throughout California (ocean, rugged dirt mountain driving, hills, ice and snow-traction is great-never had to put on the chains at Tahoe), a safe car was a MUST! Bought it with 26,000 miles used from a dealer- returned Avis Rental Car-used for a year as a rental. With about 10000 left on the bumper to bumper, I had the drivers lumbar replaced (it was broke), and a new radio because the color wore off the buttons (and it's done it on the new one too). I have had it almost 2 yrs and 24,000 miles, and my only cost has been to replaced the front brakes for $95. Paid under $15,000. Fit like an old shoe. I LOVE MY CAR! I only have 18608 miles on it; so far no problems. Getting 26.2 mph average. I keep my tires at 38 psi. This sacrifices a softer ride though. The seating is great for me; I would like more lumbar adjustment. I like the body styling. Air conditioning is great. I do experience a slight backfiring when starting but I am told this is normal. Sound system is great. Brakes 'shimmy' when applied, dash rattles a little bit. This is excellent car to drive..Have had several issues with quality..glove console door replaced three times because of cheap plastic latches breaking..Outside door handle broke. Compressor on shock system went beserk..and door ajar waring goes off at will..GM cannot figure out problem. Like the car, but becoming iritated at no answer from GM on electrical problems. Much better than the previous design, a pleasure to drive. 30 mpg is real. Problems are the center console and early strut problems. The dash rattles like the older la sabres,but all in all at 40,000 miles its been a great car.